When deciding whether a financed insurance solution is right for you, it is important to understand how the strategy performs in various market conditions. No one knows what will happen in the future but looking at the past uncovers some common patterns we can use to our benefit to plan for the future. Stressing our designs through some of the harshest economic conditions allows us the opportunity to implement solutions against potential future failures and optimizing our chances for a more successful outcome. In evaluating risks we need to look at two critical factors: the asset and the cost of borrowing. The asset we are pledging as collateral for the loan is typically an index universal life insurance policy (IUL). This product is linked to a market index, not directly in the market. As such, it will participate in some of the upside of the market (similar to a long option), but cannot have a negative investment return. Although it cannot have a negative investment return the product still has the potential to lose money when factoring in the amount of the costs and fees. The loan, or cost of borrowing, LIBOR + 1.75%. Kai-Zen borrows money from the bank to give you the opportunity to put more funds into your strategy. The policy is the sole collateral for the loan. A. Can the index policy out-perform the loan costs (using actual examples from history)? B. What happens to my policy performance in the event of a future economic Great Depression? 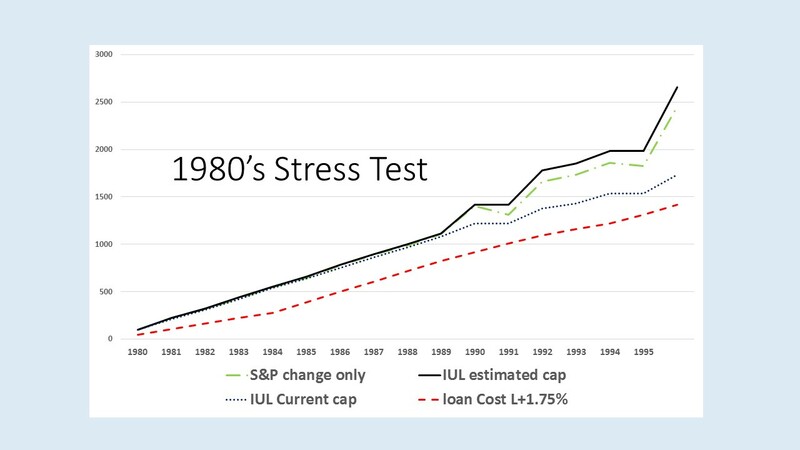 C. What happens to my loan costs if future interest rates were as high as they were in the 1980’s? D. How long do I need to borrow the money before paying off the loan? A. As you can see from the charts above, you would have had the ability to use the banks money, pay off the loan in year 15, and improve your policy benefits beyond what you would have been able to obtain on your own. B. The next thing we want to do is isolate harsh economic periods for policy growth and see what that would do to the design. We simulated the Great Depression because from 1930 to 1935 your policy would have credited 0% growth. If we look at a 15 year time horizon, 9 of the 15 years would have credited 0%. 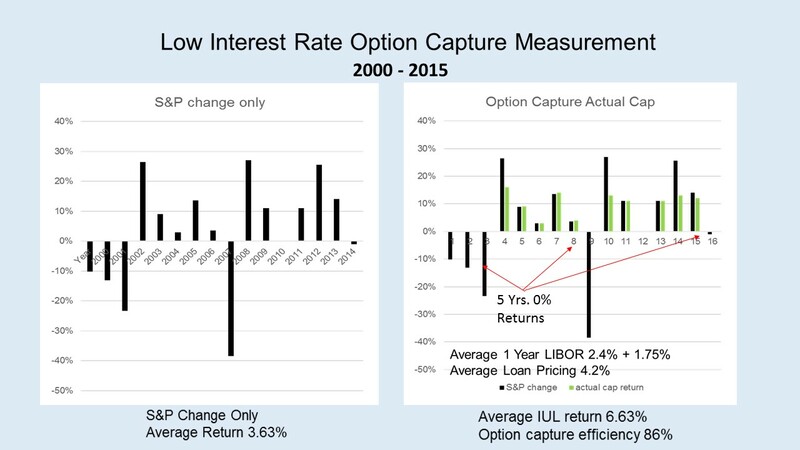 So we ask, how would that have compared to your borrowing costs of that time period? In reviewing this chart we see that the policy ultimately recovered and had enough money to pay off the loan and reap the additional policy benefits (assuming you stuck with the strategy). 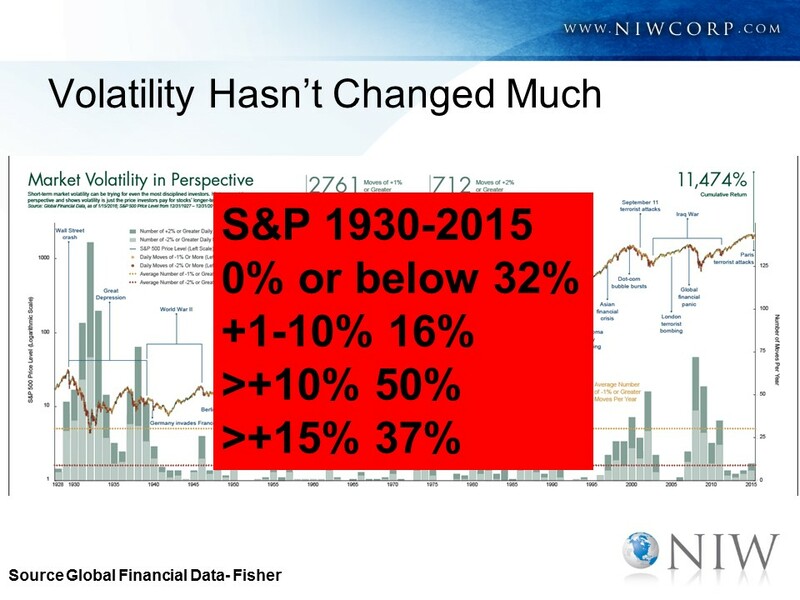 What this really tells us is not to panic, because history shows us that the market goes up and down but in time it always recovers. Looking back, the worst time to borrow money was in the early 1980’s, when borrowing costs spiked as high as 18%. Kai-Zen has shown to pass the test through this time period as well. The strategy was able to keep up with the higher borrowing costs and ultimately outperform them. Lastly, because of market ups and downs, we wanted to know how long it would take for the design to normalize the effects of volatility. We decided that a 15 year time horizon gives you the optimal chance for a successful strategy. 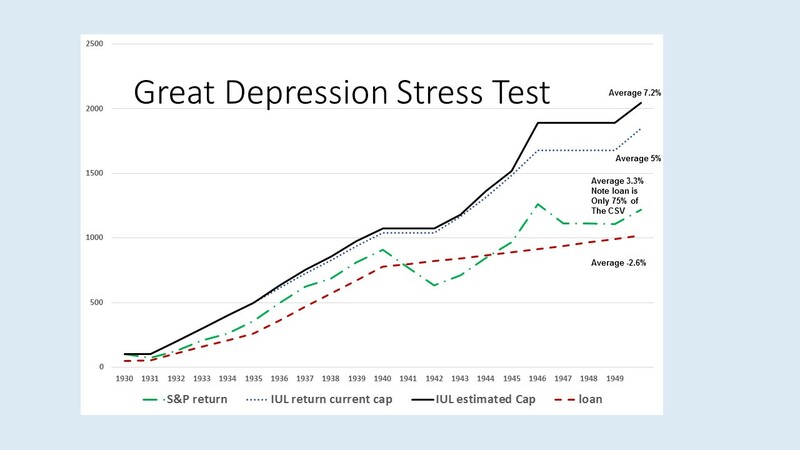 Although running these historical stress tests does not guarantee what will happen in the future it certainly gives us more comfort in knowing that we have simulated the worst economic times periods this country has faced and the designs have survived. Can you really feel with confidence that any of your other benefits have undergone this rigorous testing process?.